The winter of discontent turned to spring of contract expansions, and now we are heading for full steam against our version of Christmas: Opening Day. Yes, we have already seen two games, but they do not really feel like the start of the actual season, as both participants return to spring training afterwards. No, the coming Thursday is the big day. All 30 teams are also in progress instead of seeing something like three games on the first day and everyone else is playing the following day. It is beautiful. As for how I expect things to shake off this season, let's take a look. 00 games again. Choose what you want from the group to represent AL. I went with the Yankees. In NL, it is far more violent. I like Nationals in NL East because the turn is killer, improvement in the catch position and Victor Robles break out with Juan Soto in the outfield. However, this division has four teams that will be in the mix. It is quite possible we see all four teams ending with between 81 and 90 wins. In Central we have a 95-winner Cubs team that endured almost worst scenarios virtually everywhere, but last year's Javier Baez and Ben Zobrist. 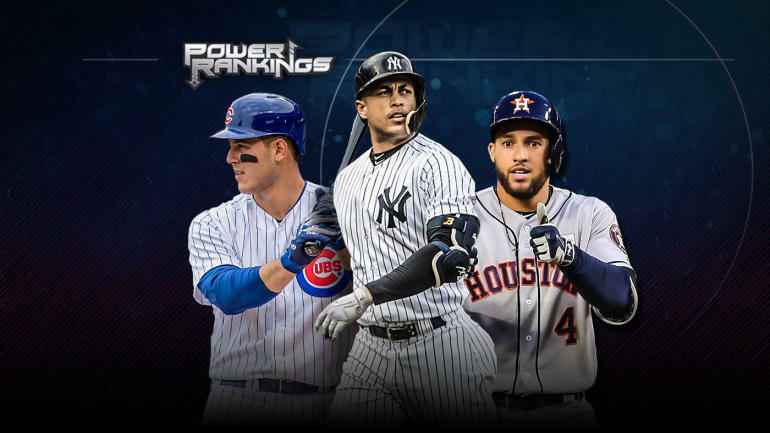 They get lots of jumps back (Kris Bryant, Yu Darvish and Willson Contrera like the big ones) and win the division for the third time in four seasons. Cardinals are getting better and they won 88 last year. They will finish another and get hold of one of the wild cards. I am convinced that the brewers are good but just had their dream season. Christian Yelich hit .373 / .481 / .833 with 18 homers and 50 RBI in his last 40 games. He's good, but he's more what he was before it (.309 / .372 / .514 with 18 homers and 60 RBI in 107 games). Lorenzo Cain is good, but he is also 33 and beautiful play-reliant. Corey Knebel is injured and I would be worried about Josh Hader, who held a full season after 81 1/3 regular season investments in 55 appearances followed by 10 innings in seven postseason outings. They also lost their pitching coach. They are more than 86 victories than 96 for me. It could still get them into the Wild Card Game, but I've made them miss an inch to Phillies. Dodgers is the easy and obvious choice to win NL West. Their season does not begin until October. The Rockies are fighting for another wild card. The rest of the West ends under .500 and leaves the wild race for Phillies, Cardinals (my two picks), Mets, Brewers, Braves and Rockies. The startup possibilities are Reds and Padres. The races in the AL are relatively boring, while the NL side has fantastic races down the line, maybe even with a few more one-game playoffs for Game 163 as last year. Oh, and I get some of the above right and some of the above wrong. It's baseball! Came with it.